Each March we stage our annual exhibition in the Crosfield Hall here in Romsey. This was built in 1936, a reasonably large hall for its time and situated just to the south of the town centre with surrounding car parks (there is free parking on Sundays in the car park adjacent to the hall). Ours may not be the largest exhibition in southern England but we try to ensure that in quality it is one of the best. We aim for a cross section of the hobby, from out of the box (albeit breathed upon) to scratch built, from the fun layout to fine scale. Unless we know the builder and therefore expect that our ideals for an exhibition layout will be achieved, no layout is invited unless we have seen it running under exhibition conditions. We look for reliability and entertainment and unless the layout is purely for fun, realistic railway operation. In celebration of this being our 40th annual exhibition, there will be several layouts with 40" long scenic sections in scales/gauges 009 to P4, N to H0n3 produced by our members in response to a 40" challenge that was made last year. These layouts are denoted by an * after their names. 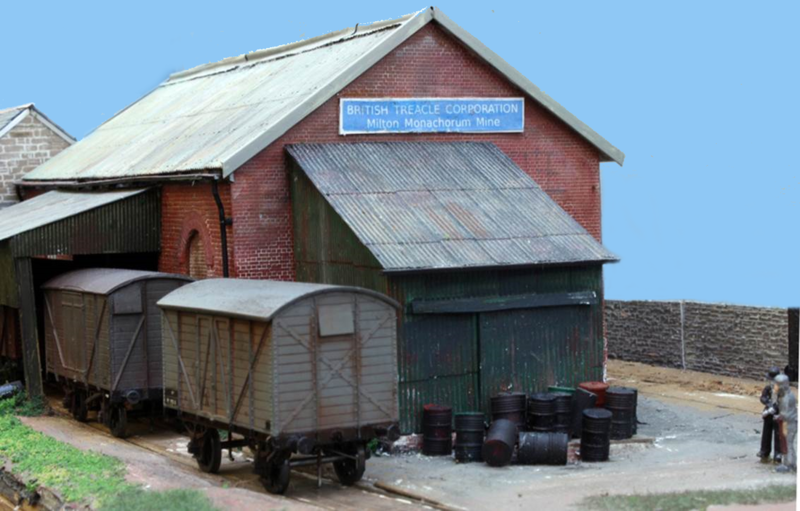 Wagon works and carriage sidings. Static display of one of the longest railway bridges to cross a UK motorway. On the Southern borders around the 1940's. English industrial narrow gauge railway. Narrow gauge layout set in the Netherlands. Based upon Moorswater on the Looe branch. West Somerset Railway Association’s annual Steam and Vintage Rally. Details of our 2018 exhibition with pictures may be found here. Details of our 2017 open day may be found here. Details of our 2017 exhibition with pictures may be found here.